Being in band for almost half my life has given me the opportunity to attend MANY football games. At first, I loved it because we got to play and dance in the stands, and it's what all my friends did. It took many years for me to actually understand what was happening on the field. Now, you can find my mother and me on Saturdays yelling and screaming at the TV, while my father and brother sleep on the couch. Thankfully this fall I actually got to go to 3 college football games [more than ever since graduation], and I got to tailgate for the first time! 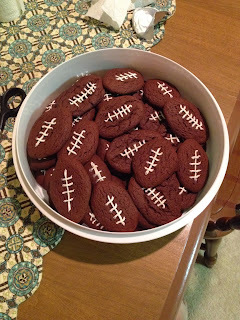 Since I had the pleasure of hangalangin with some friends before the game, it gave me a fantastic reason to bake football cookies!! I found the original recipe here, but of course made some changes. For the dough, you need 1 box of Devil's Food Cake, 2/3 cup of butter, and 2 eggs, then mix it all together. 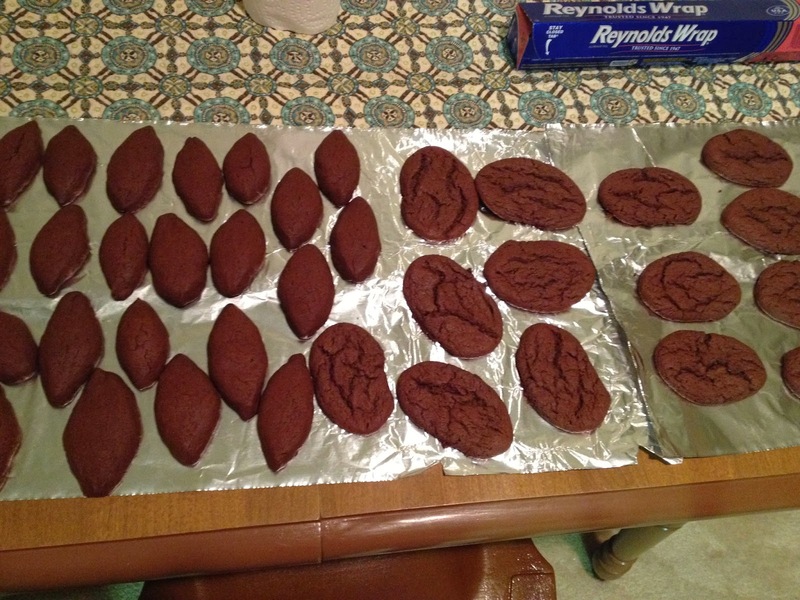 For the first batch, I used sugar free cake mix, and for the second batch, I used regular cake mix. The batches looked, baked and tasted very different so I took some pictures for you. 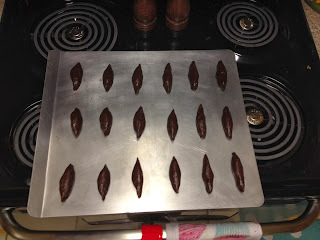 For either batch, bake them at 350 degrees for 10 - 12 minutes. To add the laces, I could have used a homemade cream cheese icing in my fancy icing bags, but it was late and that was too much work. SO...I used a plastic bag, filled it with Pillsbury Cream Cheese icing, cut the corner off, and iced away. Let the record show, I came home with 0 cookies. Mix it all together. 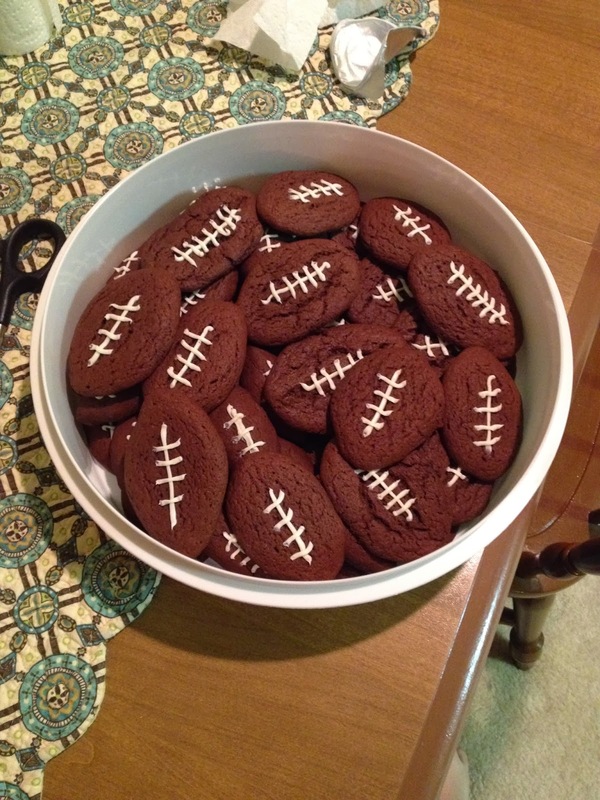 Roll into balls [or footballs]! 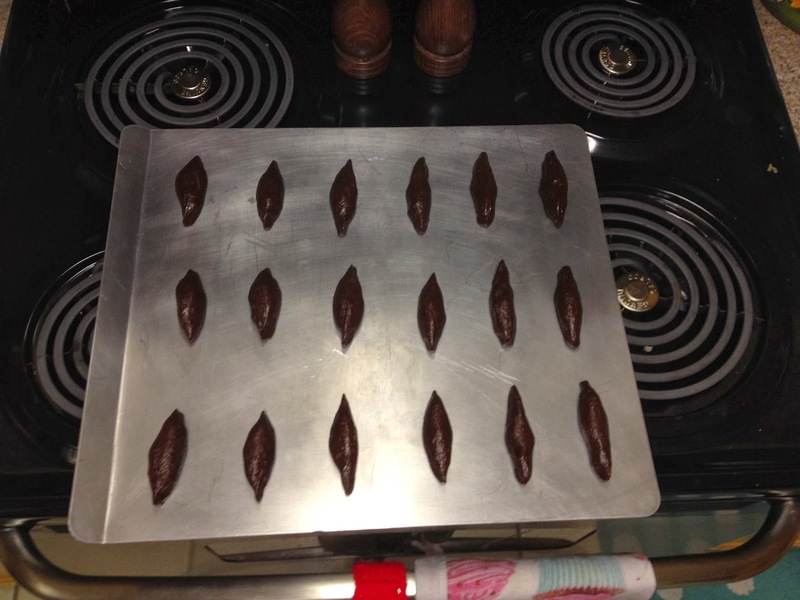 Bake at 350 for 10-12 Mins.